A collection of 25 Perfect Mother’s Day Desserts to help celebrate those special women in your life. 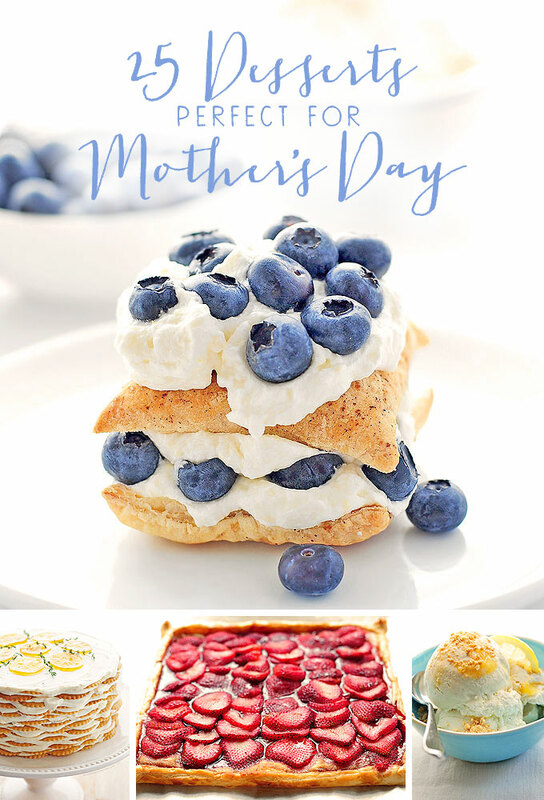 No Mother’s Day celebration is complete without a splendiferous dessert, so I’ve gathered recipes to create a list of 25 Perfect Mother’s Day Desserts. 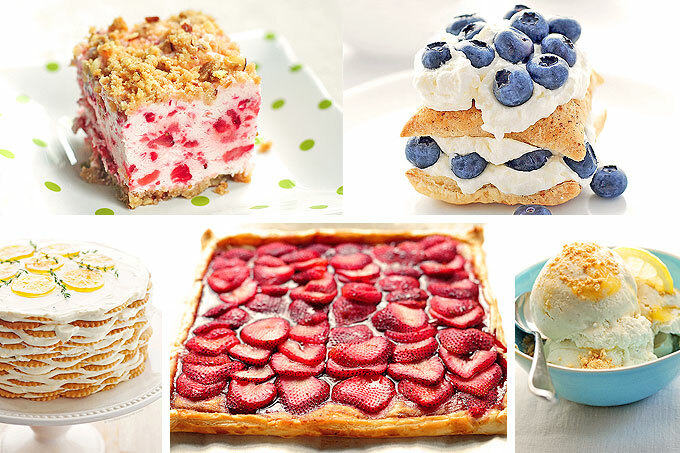 Whether you’re looking for something in frozen form or covered in frosting, you’re sure to find something to pique your sweet tooth’s interest in this dessert list. 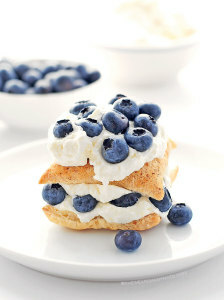 Easy Blueberry Lemon Napoleon Desserts: This pretty dessert is impressive, but could not be easier. Fresh berries and puff pastry combine with fresh whipped cream for a light and flavorful treat. 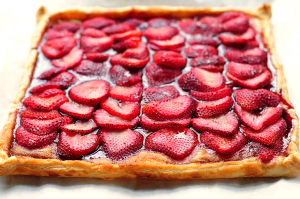 Strawberry Tart: A simple and delightful strawberry tart that can be made in no time. Butter Cake with Malted Chocolate Buttercream: A buttery yellow cake topped with a splendid chocolate malted buttercream frosting. A classic favorite. 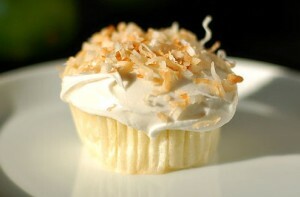 Limeade Cake with Vanilla Frosting and Toasted Coconut: Not too sweet, with a lime flavor that isn’t too overpowering. This one is a winner! Meeting Street Cake: Very much like a cobbler, buckle, or dump cake, this cake is easy and can be made with any fruit filling of choice. Banana Pudding: What’s not to love? This classic favorite is always nice for family celebrations. 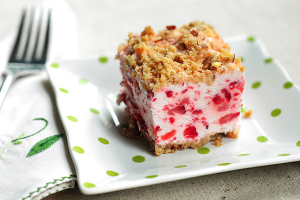 Frozen Strawberry Squares: Using fresh strawberries and cream this easy frozen dessert can be made days ahead. 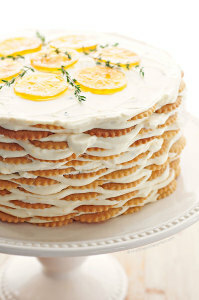 Lemon Thyme Icebox Cake: An easy no-bake cake that just screams summer. Pistachio Cupcakes: These easy cupcakes are always a huge hit. And they’re a happy green color too! Strawberry Cake with Dark Chocolate Buttercream: Full of fresh strawberry flavor, and topped with a decadent Dark Chocolate Buttercream this cake is the perfect combination for a special occasion cake. 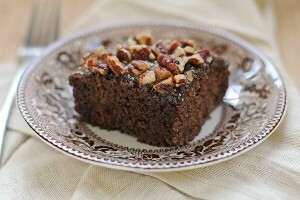 Praline Cake Squares: An easy sheet cake with a light texture, the perfect amount of sweetness, and a delicious praline type topping. 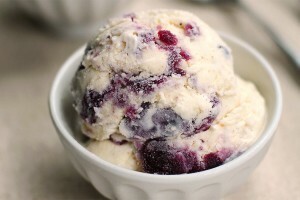 Blueberry Pie Ice Cream: A vanilla base ice cream with graham cracker and blueberry pie deliciousness. YUM! 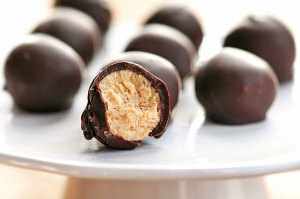 Chocolate Peanut Butter Balls: Chocolate and peanut butter is a favorite combination. I know I’m not alone when I say that it’s a combination that’s hard to beat. These Chocolate Peanut Butter Balls are easy and can be made a few days ahead of party time. Lemon Creme Brûlée: Even though it may sound fancy, crème brûlée is pretty simple when you break it down. 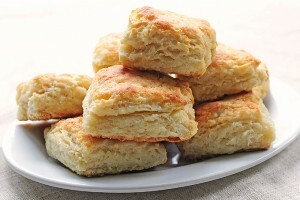 Plus it can be made well ahead of serving time, and then sprinkled with sugar and “flamed” just before serving. 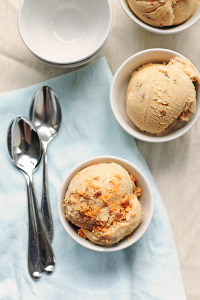 Butterfinger Peanut Butter Ice Cream: This very mousse-like and oh so very decadent so it doesn’t take much to satisfy that sweet tooth. If you’re a Butterfinger fan like I am, you’ll be very happy with this frozen treat. 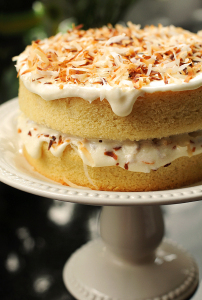 Vanilla Cake with Toasted Coconut Frosting: A simplified version of the classic coconut cake. Citrus Tea Biscuits and Berry Honey Shortcakes: Tea biscuits layered with berries, and Honeyed Whipped Cream, topped with an extra drizzle of honey, make for a simple and perfect shortcake. Flourless Chocolate Brownies: A gluten-free dessert option in brownie form. Top it with ice cream, toasted coconut, and chocolate syrup for an over-the-top brownie sundae. 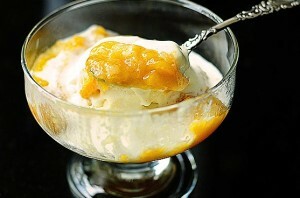 Lemon Pie Ice Cream: This has become one of my favorite ice creams to make at home. 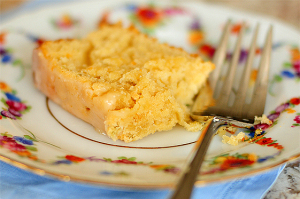 A vanilla and graham cracker base plus swirls of perky lemon curd make this a crowd favorite. Fried Nectarines: Delectable, delightful and a breeze to whip up. These Fried Nectarines (or peaches) are the perfect ending to a special meal. Grapefruit Lime Cake with a Citrus Glaze: This is one delicious cake, moist with a subtle fresh citrus flavor, and not too sweet. Top it with a glaze, or not. Chocolate Cupcakes with Chocolate Ganache: If mom is a chocolate lover, you must try these. Over-the-top decadence in cupcake form. Key Lime Cupcakes with Coconut Frosting: Cupcakes flavored with fresh lime and topped with a coconut buttercream. The perfect partners for a sweet treat. 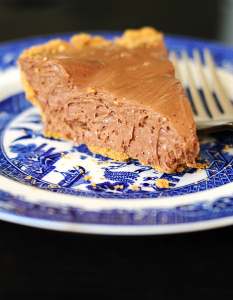 Chocolate Candy Bar Pie: This chocolatey pie is so easy, it’s almost like cheating. Fried Ice Cream (Unfried): This easy treat can be made ahead. A favorite for all ages! I hope you enjoy one (or three) of these treats. Happy Mother’s Day! Amy, This is an amazing round-up! My sweet tooth thanks you! So many great recipes! Love that strawberry cake with dark chocolate buttercream!